HomeBlog April 2016 20+ DIY Teacher Appreciation Gift Ideas! 20+ DIY Teacher Appreciation Gift Ideas! Knowing our 1,2,3s and ABCs - we have a teacher to thank! With Teacher Appreciation Week quickly approaching from May 2-6th, 2016, we’re bringing you easy ideas to delight all the teachers in your family’s life. We have four fun ideas to pair with a gift card to their favorite spot, plus 16 more projects to inspire you. This clever ‘apple’ is foolproof to make! 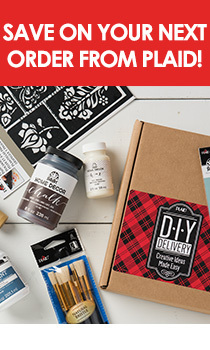 Use FolkArt Home Decor Chalk on a Mason Jar and package with a gift card. Make more of an impact than a boring envelope when you create an easy Chalkboard Clipboard Gift Card Holder using FolkArt Multi-Surface Chalkboard Paint. We adore the addition of tying a handy piece of chalk to the clipboard! Make a coffee cup personal with the addition of a stenciled name and pair with a gift card or some sweet treats. Ready for more ideas? See 17 other DIY projects any teacher will love, and follow our DIY Teacher Appreciation Gift Ideas Pinterest board for more inspiration!